Despite attempts from a disgruntled former producer to shelve the project, Terry Gilliam confirms the movie will hit theaters in Europe soon. Filmmaker Terry Gilliam is celebrating after learning his labour of love movie “The Man Who Killed Don Quixote” is to be released in Europe. 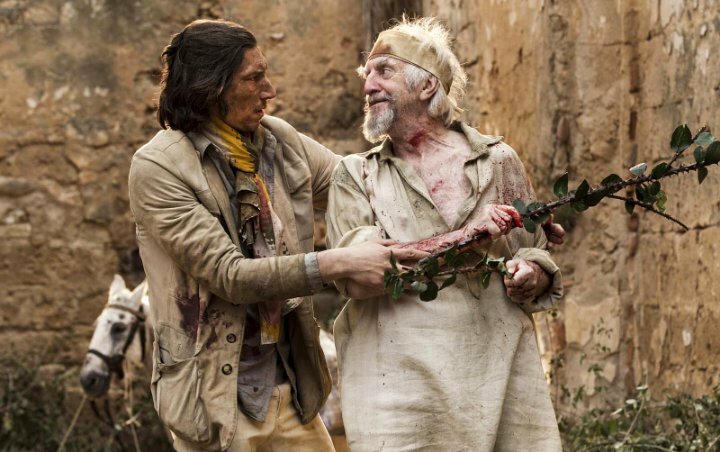 The former Monty Python star has been working on the film for over two decades, and now after a series of on set disasters, cast changes and financial and legal setbacks, the reimagining of Miguel de Cervantes story has scored a release date in Germany and Italy. “The Man Who Killed Don Quixote” premiered at the Cannes Film Festival in May, despite attempts from a disgruntled former producer to shelve the project, but now Gilliam has taken to Twitter to confirm the news his film will hit screens in Europe later this month. L’UOMO CHE UCCISE DON CHISCOTTE si apre 27 settembre! The film previously starred the likes of Johnny Depp, John Hurt, and Ewan McGregor, but the finished product will feature Adam Driver, Olga Kurylenko, Jonathan Pryce, and Stellan Skarsgard. Earlier this year, a French court dismissed a claim from producer Paolo Branco, who sued Gilliam over the rights to the movie, but the director was ordered to honour a 2016 contract he signed with his then-backer. The defiant filmmaker insisted the legal wrangle would not halt the release of his movie.